Click Here to Select Large, X-Large, and 2X-Large. Wear your ability to enter a city with a lot of noise with the CityScape t-shirt! This t-shirt is 100% Cotton. Crested with our shield logo. Every time you enter the show you hear those famous words, "do a burnout!" Now you can just show 'em your shirt! The Burnout T.
Made with 100% 5.4oz Ring Spun Cotton. Tribal distressed burnout tee shows off the logo and artwork on an ash grey high quality lightweight ring spun 100% cotton shirt. Show off your support for forced induction on this high quality ring spun t-shirt. A strong red shirt on a tribal turbo symbol. Made with high quality lightweight ring spun 100% cotton shirt. Some people like to roll deep, whether that's racing or street you can show off your love for the static life with this coil-over spring t-shirt. Printed on lightweight high quality ring spun 100% cotton. The Shield is a symbol of defense and protection. Display your support of automotive principle with the fashionable trademark shield symbol! Made of stainless steel on a 24 inch leather necklace. Click Here to Order! 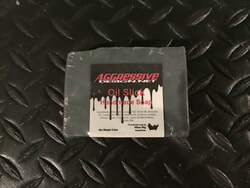 Show your gear head nature with this oil scented soap! Reinvigorate your skin with moisture and health after a hard day of work still feeling like a high octane machine! More products are one the way! Keep an eye out!